Tottenham Hotspur goalkeeper Hugo Lloris could miss the start of the new Premier League season after suffering a fractured wrist earlier this summer. The 28-year-old, who has been linked with a move away from White Hart Lane this summer, is currently doing rehab on the injury, with Dutchman Michel Vorm the man to deputise if Lloris does miss the opening games of the new campaign. A statement from the North London outfit confirmed: "The club can confirm that Hugo Lloris has sustained a fractured wrist during the close-season period. "The France goalkeeper will continue to work alongside the first-team squad to build up his fitness in a bid to be ready for the start of the season. "Our medical team will continue to monitor his rehabilitation and progress during pre-season." Lloris joined Tottenham in the summer of 2012 from Lyon and has since established himself as one of the leading keepers in the English top-flight and is currently one short of completing 100 appearances in the Premier League. Last season he helped Spurs finish in fifth place in the league, securing a place in the group stage of the Europa League next term. The Lilywhites can be backed at 1/1 to finish in the top four in 2015/16, with Liverpool 1/1 and Arsenal 1/1. 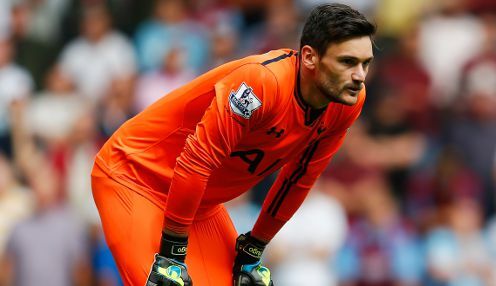 Spurs open the new season with a tough trip to Old Trafford to face Manchester United at lunchtime on Saturday 8th August, with the Red Devils one of the clubs reported to have been interested in Lloris, who only signed a new five-year contract last summer.